We take pride and are yet humbled to be one of "The Leading Local Real Estate Brokerage Firms in India" and take pleasure in representing some of the most "Premium and Upmarket Properties" in Mumbai. Residential segment: Our focus is on "Lifestyle Apartments" in Navi Mumbai (Seawood to Ulwe), where, within the ownership segment prices start at approximately: 30 lakh and go up to 5 crores) for the premium most properties. Commercial and Retail segment: We represent / invite inquiries of minimum 200 sq.ft., although our main focus is on large Commercial offices of 10,000 sq.ft and above across the city. bai. 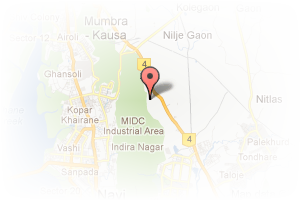 Address: PARAS VILLA,SHOP NO 10,SECTOR-50 OLD,NERUL WEST, Seawoods, Navi Mumbai, Maharashtra, India. 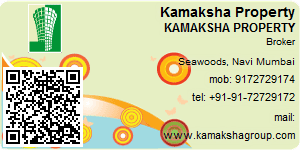 This Broker Profile page for "Kamaksha Property" has been created by PropertyWala.com. "Kamaksha Property" is not endorsed by or affiliated with PropertyWala.com. For questions regarding Broker Profiles on PropertyWala.com please contact us.